WE NEED TO TALK ABOUT . 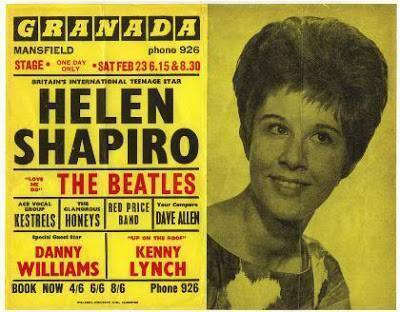 . . HELEN SHAPIRO: And the next stop from pop? Neil Sedaka saw his career over within weeks: "The mood was new music. I'd just had five years of top-10 records all over the world, and then . . . I thought my career was over. I was 23." For British pop singer Helen Shapiro it was different, she was there to watch her pop career disappear on almost a night-to-night basis. Four top-three singles in Britain in '61-'62 (including her signature hit Walkin' Back to Happiness) and then nothing of any consequence until by '64 when her singles simply disappeared. She was barely 16 when the pop career of this girl twice voted Britain's top female singer was over. 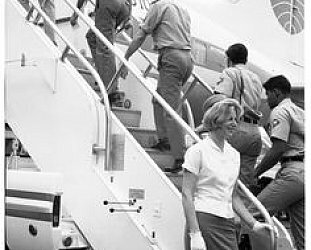 And she saw it happen when she was on a tour in early 1963. That was when her support act enjoyed their first national hit and as the tour progressed Shapiro's star went into descent and in a very short time Shapiro slid quietly from sight. A new sound had blown in, the Beatles. However like Sedaka, Orlando and a few few others, Shapiro did enjoy something of a renaissance and although her distinctively hoarse style would have echoes in the delivery of the Honeycombs' Have I the Right, Cilla Black's belting ballads and Lulu's raw soul, Shapiro took herself into cabaret and then jazz which she had grown up with. 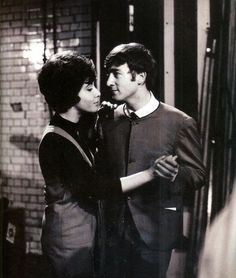 Helen Shapiro, born in the Jewish East End of London in late '46, began her amateur career singing skiffle and moved onto pop (Marc Bolan, later of T-Rex, was in an early band) and took as her role model the singer Alma Cogan (one of John Lennon's early lovers, but who died young in '66 and had been similarly marginalised by the Beatles' ascendance). Because of the dark timbre and power in her voice, Shapiro seemed preternaturally mature, confirmed when she recorded Don't Treat Me Like a Child at Abbey Road studios when she was just 14. It went top three in Britain and number one in New Zealand. It was written by producer/composer John Schroeder who co-wrote Walkin' Back to Happiness with Mike Hawker, which won them the Ivor Novello award. (Hawker subsequently co-wrote Dusty Springfield's first solo hit I Only Want to be With You). Shapiro was on her way and was managed by arranger/producer Norrie Paramor. But despite further hits there was a new wind blowing and it came in the shape of her support band on a British tour in February/March 1963. 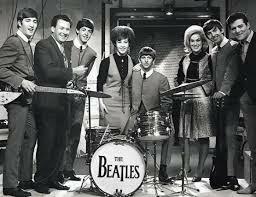 The Beatles presence on her tour came about –as did so many things in their early career – quite by chance when their manager Brian Epstein had been trying to get them on a tour by the popular Joe Brown and the Bruvvers, a tour put together by impresario Larry Parnes (a legendary and dodgy character known for “all puberty, no probity” in the words of Beatles biographer Mark Lewisohn). The Shapiro tour came up and suited Epstein better: there was more money and because Shapiro was breaking the tour to record in Nashville and he wanted to keep some days clear in February for the group to record their debut album in London. Before the tour started the band had enjoyed modest success with their single Love Me Do but as the tour progressed their second single Please Please Me went to number one. There was a camaraderie on the tour bus – she would play banjo and jam with the Beatles – and Lennon and McCartney wrote Misery for her to record in Nashville, a song which was nixed by Paramor. (It appeared on the Please Please Me album). But the chart-topper Please Please Me meant that as the tour progressed Shapiro's star billing was eroded by the increasingly popularity of the act low down the support bill . . . and it signaled the end of her pop career. On the next tour which they had already been committed to, through the same promoter Arthur Howe and the same modest fee, those getting top billing were the Americans Chris Montez and Tommy Roe but after a few dates the Beatles were elevated to the top spot . . . and after a couple of minor hits in subsequent years the careers of Montez and Rowe as pop stars were also over. For Shapiro it had been short career – less than two years – but she sprung some durable hits and album tracks (Look Who It Is among the latter). 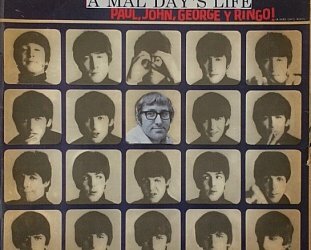 And there's a very funny clip of her singing Look Who It Is on Ready Steady Go in '63 wth three-quarters of the Beatles in a cameo. Ironically she also sang material written by Neil Sedaka who woke up to find his pop career in a similar and simultaneous downturn. But like Tony Orlando – who reinvented himself later with Dawn – both Sedaka and Shapiro survived in music beyond the charts, Sedaka as a songwriter (and later enjoying the support of admirer Elton John) and Shapiro by moving back to jazz. 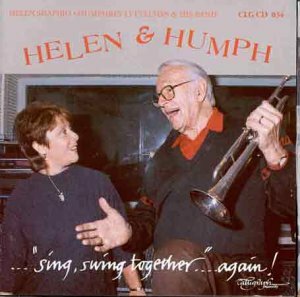 From the early Eighties she toured and recorded with Humphrey Lyttelton's band. She also converted to Christianity and recorded a number of jazzy-Jesus religious albums (there are a couple of Spotify with some seriously soulful singing). It was a low-profile career compared with where she had been 20 years previous and she formally retired in 2002. 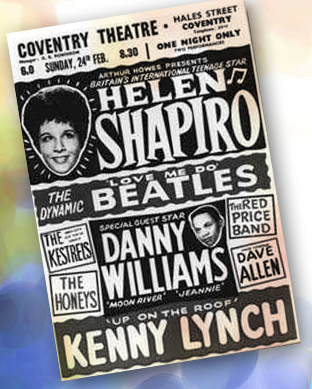 Helen Shapiro – 72 at the time of this writing – was certainly not alone in being swept away when the Beatles arrived, but a collection of her hits – and there are a few, also the Sensational! collection of unreleased material which appeared in the Nineties – shines a spotlight on a great, powerful and distinctive singer. This London schoolgirl had five top 10 hits and two number ones in Britain before she turned 16, and there are few who could claim that. And that's why we need to talk about Helen Shapiro. 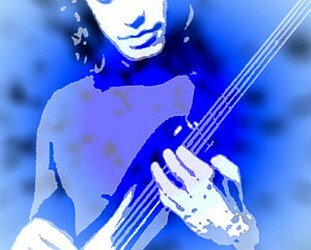 For other articles in the series of strange, largely forgotten or different characters in music, WE NEED TO TALK ABOUT . . . go here. Thanks for filling in the story of this formative influence Graham, and the other bits and pieces like the Honeycombs' terrific single. 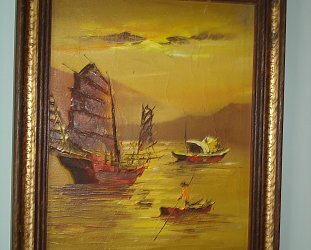 I try not to live too much in the past, but it is great to revisit these early influences.